Google's Nexus One - Launch Date: January 5th? Google announced today they have invited the press to an “Android press gathering” on Jan. 5. This date is very strategic on Google’s part – as the Consumer Electronics Show is in Las Vegas later in the week. Google representatives declined to provide any further details about the event, but most likely this will be the unveiling of the Nexus One. This will be Google’s first phone sold directly to consumers. The rumors are, that if purchased directly from Google, consumers could pay up to $500, or considerably less if they sign a multi-year contract with T-Mobile. Google employees began tweeting about the Nexus One after Google handed out these new phones to employees. Then, on December 12, Google posted a somewhat odd blog post where it said that the devices were intended to test new mobile technologies. “We recently came up with the concept of a mobile lab, which is a device that combines innovative hardware from a partner with software that runs on Android to experiment with new mobile features and capabilities, and we shared this device with Google employees across the globe,” Mario Queiroz, vice president of product management. Also there are rumors that at this press conference, Google will address the questions that have risen about the Android strategy. Many are wondering if Google will sell the Android directly from its website. I’m curious to see what this all will mean for the real estate professionals. As referenced in my last post about smartphones, the iPhone is still the top seller, followed by the Blackberry and Razr. Will the Google Nexus One surpass what the iPhone has successfully accomplished? For real estate agents, ease of use is their top priority – followed by superior phone and data service. This topic will certainly be discussed at Connect NYC. 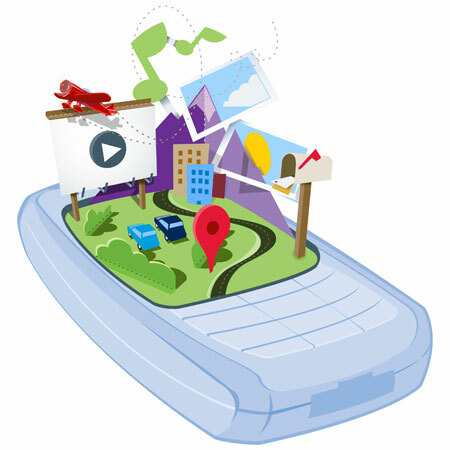 What is the future of mobile technology for 2010?